Are you getting tired of burning your bare hand on the grill? Or maybe those traditional oven mitts are worn and tattered? The Pitt Mitt Barbecue Glove by Bull Grills protects your hand while cooking, but it is highyl flexible for easy grabbing and gripping. 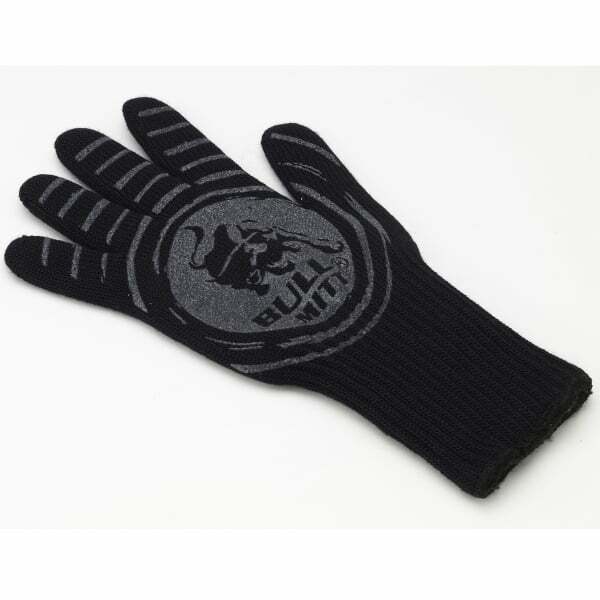 The reversible mitt is made from aramid fibers, which are used in military and aerospace applications. Only the most state-of-the-art oven grill and barbecue glove for you, my friend!.